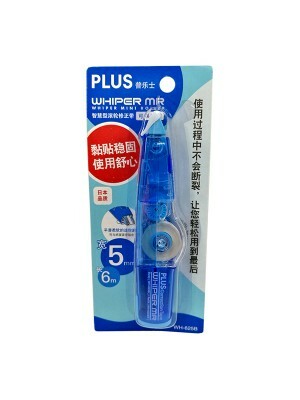 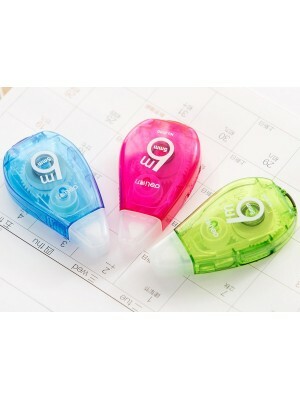 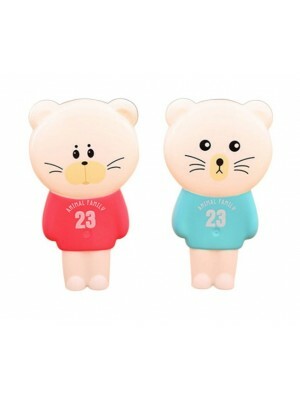 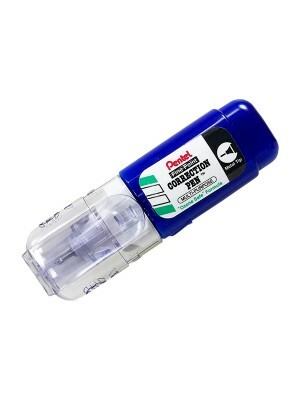 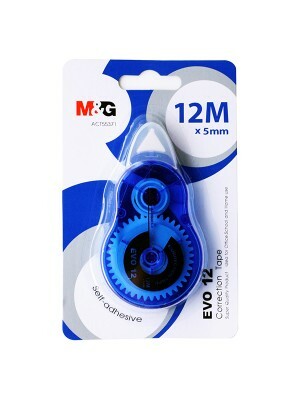 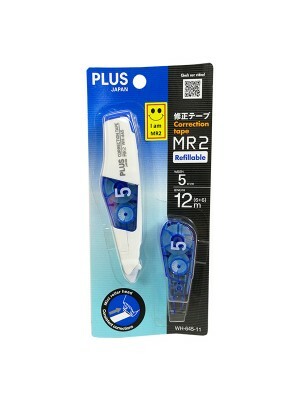 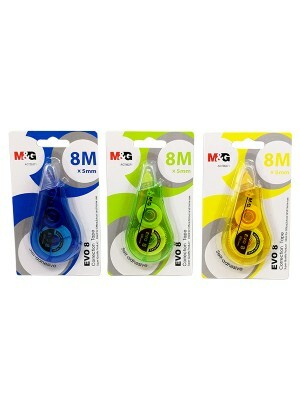 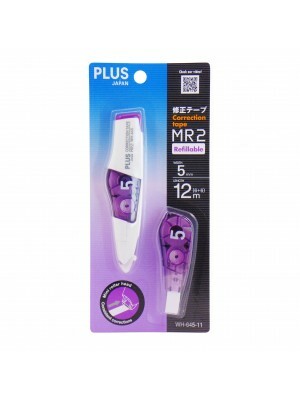 Plus MR2 WH-645 Correction Tape (Refillable)* 5mm x 6m with extra refill included* Flexible head fun..
* Refillable* The slim, pen-style body fits nicely in the pen case. 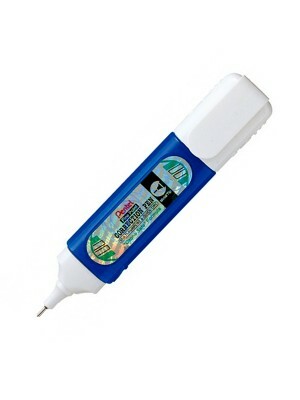 * 5mm x 6meter* Product Wt. 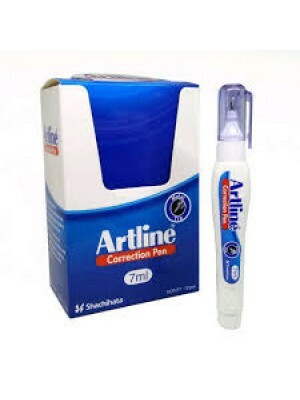 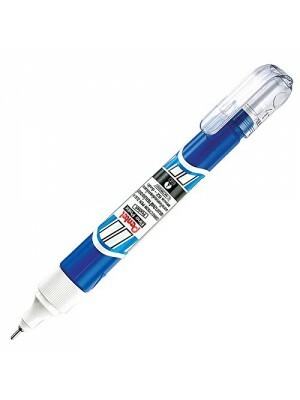 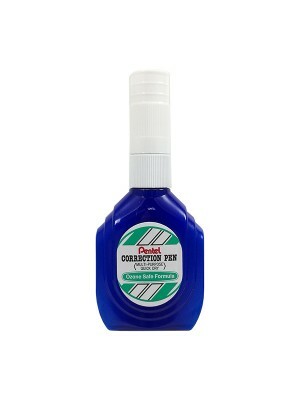 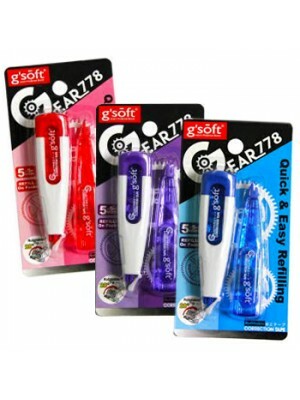 : 50g..
ZL72 Correction Pen, Blue Pocket, Metal Tip, X-Fine Pt. 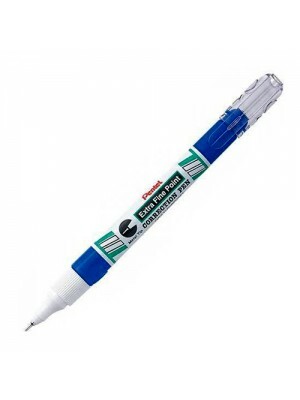 (4.2ml) * It's extra fine point tip is ..
PENTEL CORRECTION PEN 4.2ml METAL TIP - ZL33T-W * It's fine point and 4mm metal sleeve make the..
Pentel ZL31-W Correction Pen Steel Point Fine 12ml* Correction pens with a strong steel point for pr..
* Ozone Safe Formula* Multi-Purpose* Quick Dry* Product Wt. 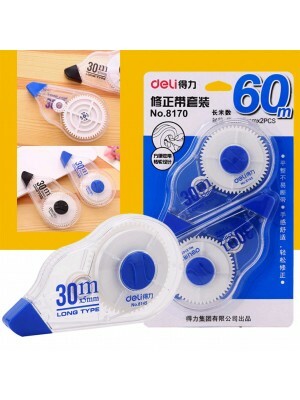 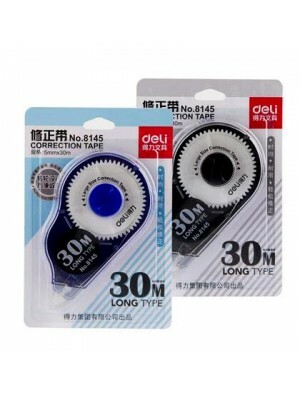 : 30g..
* 5mm x 12meter* Self-adhesive correction tape* Superior quality product* Idea for office, school an..
* 5mm x 8meter* Self-adhesive correction tape* Superior quality product* Idea for office, school and..
* 5mm x 18meter* Non Toxic* Fast & Clean* Prodcut Wt. 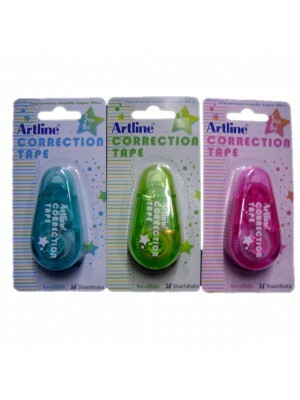 : 30g..
* 5mm x 15meter* Non Toxic* Fast & Clean* Prodcut Wt. 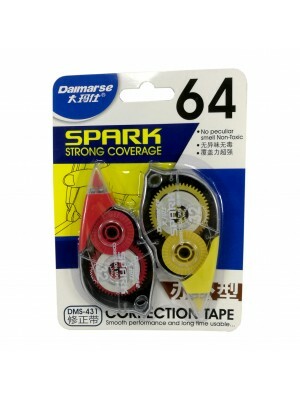 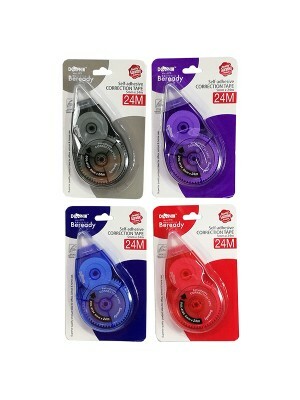 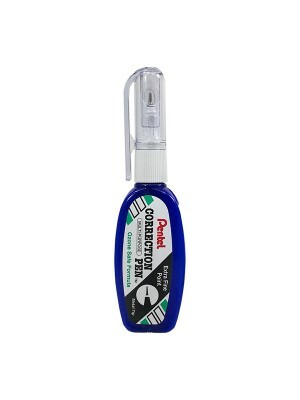 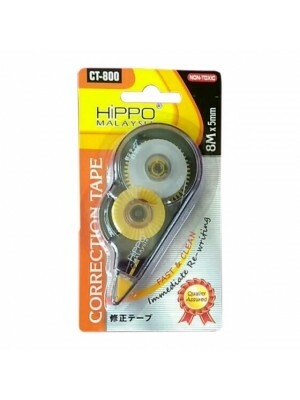 : 50g..
* 5mm x 5m* Fancy Color Design* Rotatable Tip For Smoother Correction* Add on 1's Tape refill in pac..
* Self-adhesive correction tape* Superior quality product* Idea for office, school and home use* Ext..
Pentel ZL62-W Correction Pen 7mlDescription:-Multi-purpose, Ozone-safe correction fluid works on bal..
* Code : DMS 431* Tape Width : 5mm* No peculiar smell & Non Toxic* Smooth performance & long..
Small size and portable, easy to carry.Hard plastic case, not easy to damage.Very easy to use.Clean ..
* Code : 8190* Size : 5mm x 6m..
* Code : DELI 8145* Size : 5mm x 30m* Ultra-thin PET belt, good adhesion * Altered smooth, no c.. 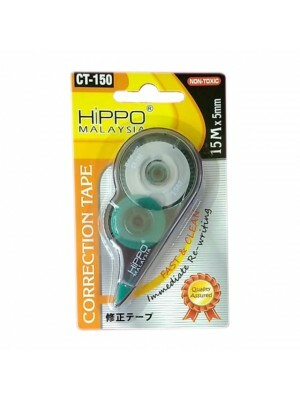 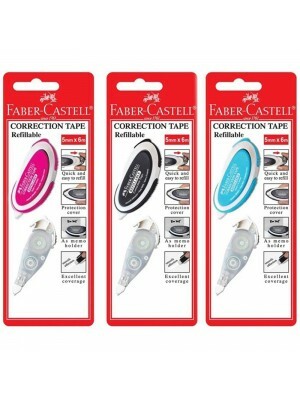 Correction Tape BC+ refill (#169102)The Correction Tape provides excellent coverage with smooth adhe..
ARTLINE ESYT-A5M6 CORR TAPEA tear-resistant, film-based tape in a micro dispenser that is less than ..